Almost 26 years ago, the grunge scene was greeted with the iconic album, Nevermind​ from Nirvana. It is considered one of the most prosperous albums of all time and was band members Kurt, Krist, and Dave’s ultimate rise to fame. Years later, the now disbanded group continues to have a huge influence on people across the globe. Sadly, frontman Kurt Cobain, who committed suicide in 1994, is not around to witness his legacy. 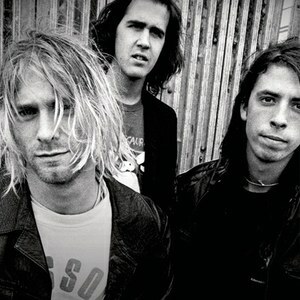 Nirvana has to be one of my all-time favourite bands. One of their LPs are always by the till, ready to be played during my record store shifts. At home, they seem to be played a lot more though- there's nobody asking to buy the copy you're currently playing! Anyway, today I’d like to share one of my favourite songs from Nevermind​ and possibly from the band. That song is track #5- Lithium​. Lithium is a drug given to manic depressive and schizophrenic sufferers with aggressive behaviour. That's why I think some lyrics ("I love you, I'm not gonna crack") might refer to the drug and it’s effects. Another example could be, "I found my friends, they're in my head". Lithium causes some users to hallucinate, hence the line about imaginary friends. But hey, songs like this are meant for analyzing and finding different meanings, so feel free to find your own. Cobain does an excellent job on writing about heavy matters like this without romanticizing them, so people struggling with these issues can relate. Lithium​ also has some great guitar playing and feeling to it for anyone just looking for a bop.